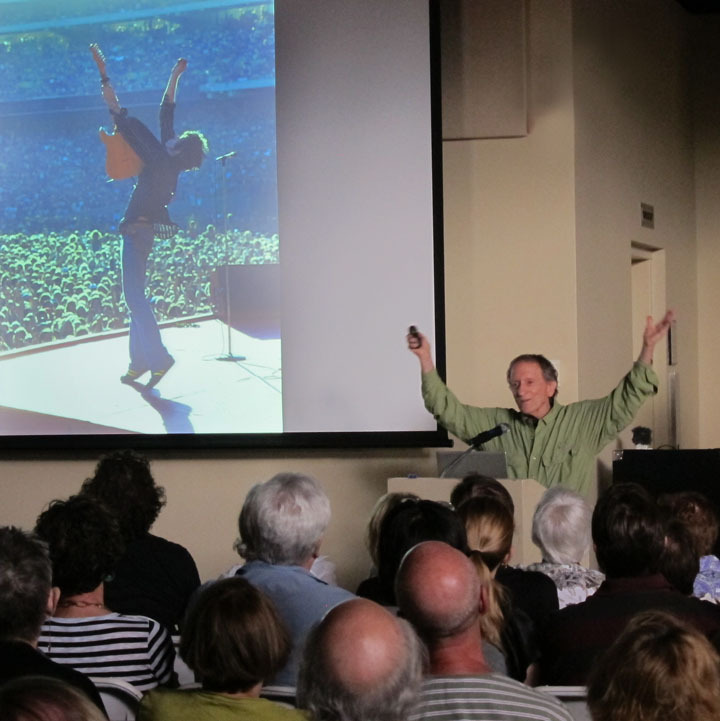 In early July of this year I had the honor of giving a little talk at the Annenberg Space for Photography in L.A. in conjunction with the exhibit called “Who Shot Rock,” a pretty solid collection of rock and roll photos by some of the world’s best known shooters. The auditorium was filled and to me it seemed as if the audience enjoyed the mix of words and photos. Now you, too, can go back in time with me to the sixties when everything was possible and all of it was fun. The talk is divided up into segments so you don’t have to listen at one sitting. « A Birthday Gift from Me to You!